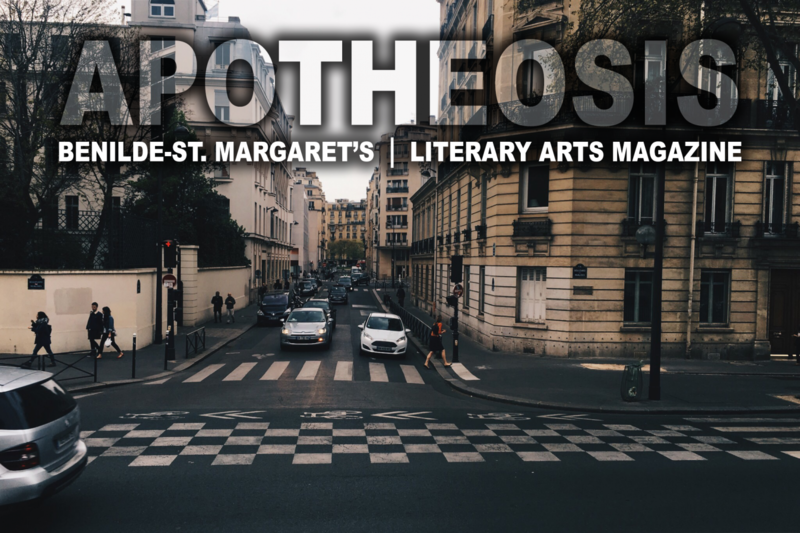 Apotheosis is Benilde-St. Margaret’s Literary Arts Magazine. Intended to highlight outstanding art, music, film and writing, the magazine is published annually. Pieces are selected by a jury of student editors. Submissions are collected until mid-January and the online magazine is released in April each year. In 2018, a KEQ magazine will be released in May with a selection of the accepted submissions. Submit your art, writing, film, and music on the “SUBMIT” page of this website.